Full disclosure – the original title of this article was AUTHOR VISITS ARE AWESOME AND HERE IS HOW YOU CAN PLAN ONE FOR YOUR FABULOUS SELF AND YOUR AMAZING BOOK, YEA! But that seemed a tad a wordy. Fortunately I have plenty of space down here in the roomy “article” section to share tips that I learned about organizing and executing author visits. 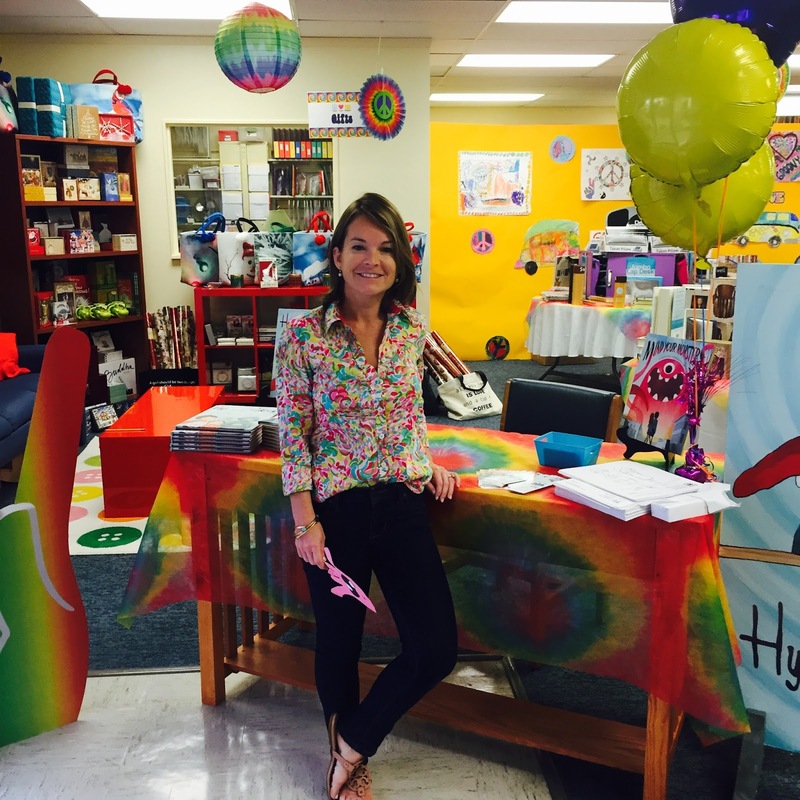 So let’s begin with the what – what is an author visit? An author visit is when an author meets with a group of people to talk about their books, the craft of writing, the world of publishing, and/or related issues like literacy. A critical part of planning a visit is figuring out what you are comfortable doing. Singing songs to Pre K kids about a character from your book? Putting on a PowerPoint presentation for 400 third graders about revisions? Speaking at a charity auction about the importance of reading? It can evolve over time but knowing what you can talk about comfortably will define your audience. Visits can include all sort of activities but mine usually fall into this pattern: a reading, some sort of presentation, then a signing. So with that in mind, the next question is where – where do authors visit? The most common answer is schools and public libraries. 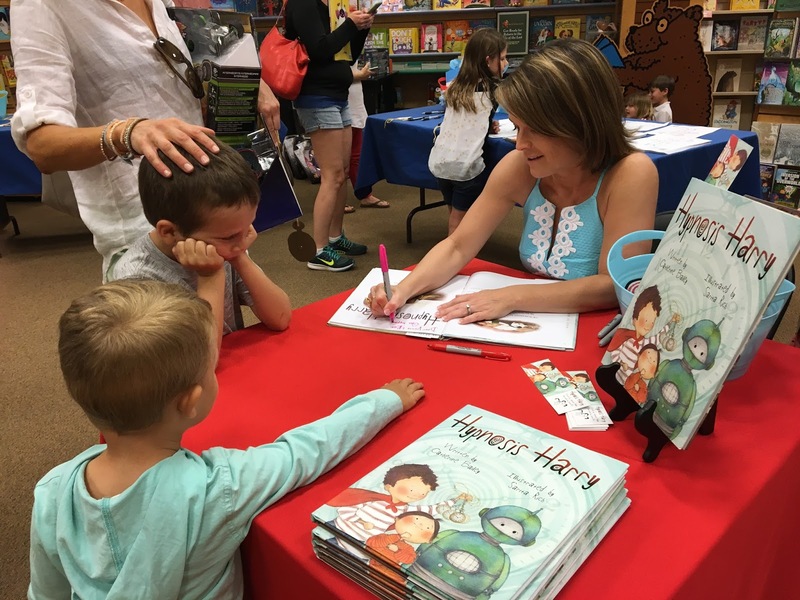 School visits can include small sessions at a daycare, large assemblies at an elementary school, and even creative writing courses at a local college. A book’s target audience is not a limit – you have a lot of knowledge about the craft of writing that you can share with older teens and adults. Libraries host story hours and adult-education groups that you can also address. The same is true for children’s museums and other attractions that tie into the theme of your book. 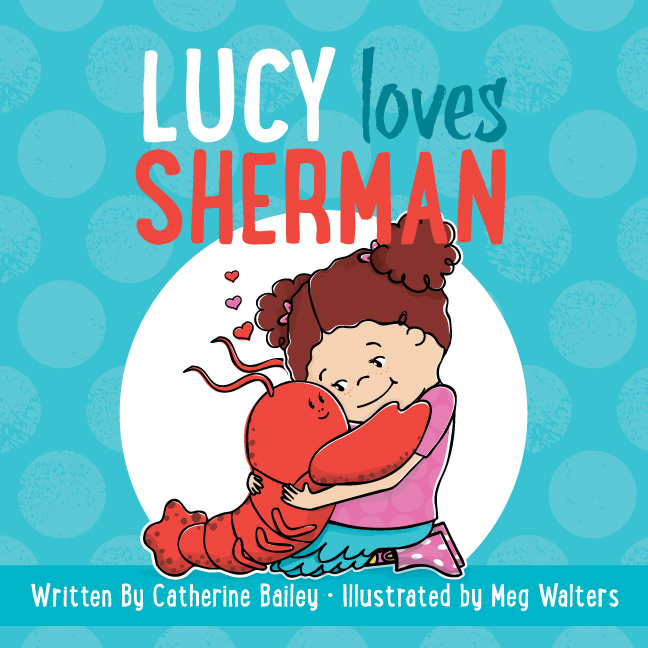 For example my third book, LUCY LOVES SHERMAN, is about a lobster so I am working with our local Oceanographic Center to organize a presentation about, well, lobsters! Book stores and children’s shops are great places to visit as well. After contacting the store (more on that later), you can plan an event for just your book – or you can find existing events you can join. I’ve been lucky enough to have all three of my book launches at a local Barnes and Noble. But, as an author of a monster-themed picture book, I also enjoyed being part of a Halloween celebration at one of my favorite gift shops. Authors are also welcomed speakers at charity events for literacy and youth issues, as well as book fairs and conferences. Children’s hospitals are a wonderful feel-good place to do readings. I promise your heart will swell three sizes if you do that one. One of my favorite “out of the box” visits was at an awards ceremony for young writers. Bottom line, there are dozens of places an author can visit. That begs the question – how? How do authors get invited to present, speak, read, and sign their books? Assuming you are fairly new to publishing, the first step is introducing yourself via an in person visit, promotional email, or some combination of both. You need to get your name out there as a person who does this sort of thing. You can use services like Mail Chimp to draft and send out emails to media specialists, school administrators, etc. These emails should include information about your qualifications, what you can present/provide for their audience, your fee (at least a range), and your contact information. The key is to be informative, but also brief. And also hilarious. But professional. And clever. Let’s just say it takes a few drafts. I prefer to save my in-person introductions for libraries and bookstores. I bring a copy of my book, and a “marketing” packet that I can leave behind. It included a press release from the publisher, a color print out of one of the pages from inside the book, a big sticker (thank you Vista Print! ), and my business card (Vista Print strikes again). When I arrive I introduce myself to the most senior person I can find, show them my book, give them the packet, and I get their contact information. I explain that I am local, and excited to do events such as readings, signings, and so on. LOGISTICS: Find out where to park. Bring a photo ID, hand sanitizer, umbrella, and back up USB of your power point. If you are visiting a school, at some point you will squat, so dress accordingly. Get a ballpark headcount if you plan to provide giveaways. Track your mileage and keep all your receipts for taxes. GIVEAWAYS: Bookmarks are great because you can sign them and they work for all ages. Black and white coloring sheets of your characters are good freebies too. Or you can raffle off one of your signed books. PROMOTION: If it is a public event, help to promote the event. The store/charity/organizers will appreciate it and there’s a lot you can do for free / almost free to advertise the visit. Make posts on social media, create a few simple flyers and post at the gym / coffee shop. It goes a long way! COMMUNICATION: Check in twice before the event to confirm times, dates and expectations. Send a thank you note when it’s over, even if it’s by email. And if you don’t anything recorded, tell them ahead of time. So there you have it. Everything thing you could possibly need to plan and execute a successful author visit. Ha ha! Just kidding! There are more tips and tricks to learn of course, but many of them come with experience. I hope to see you out there. Rate Your Story Members may enter the rafflecopter below for a chance to win a 20 Minute Skype Session with author Catherine Bailey. This is your chance to ask questions about the industry, writing, publishing, school visits, agents, you name it! All you have to do is comment on the blog below and be a 2017 RYS member! NOTE: This is not a manuscript critique session. Catherine Bailey is a children’s author and presenter from sunny Florida. 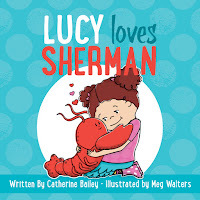 Her current books include MIND YOUR MONSTERS (Sterling Publishing, 2015), HYPNOSIS HARRY (Sky Pony Press, 2016), and LUCY LOVES SHERMAN (Sky Pony Press, 2017) – with more on the way! She is a popular speaker and has visited with hundreds (and hundreds, and hundreds!) of kids at schools, libraries, stores, and special events. When Catherine is not writing, or editing, or swatting at mosquitos, she looks after her husband and two children. All three of them are quite sticky, and none like bedtime, but she loves them anyway. 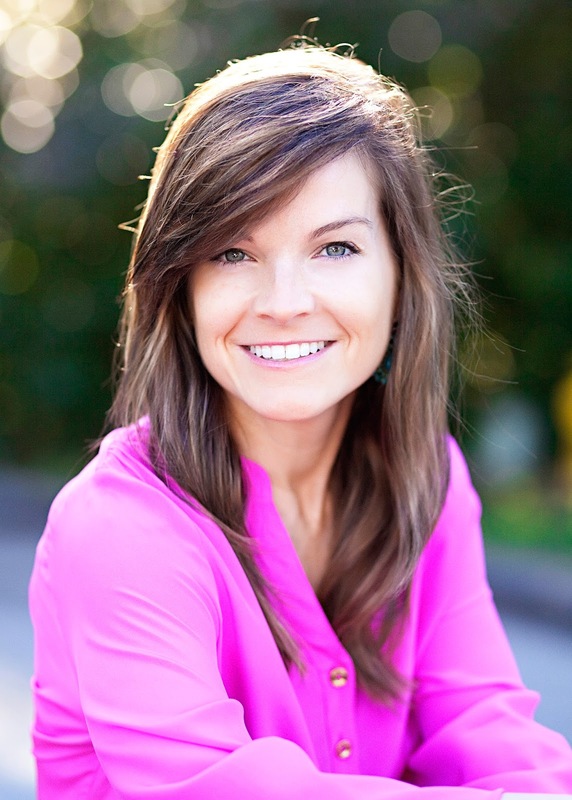 Catherine is represented by Kathleen Rushall of the Andrea Brown Literary Agency. For more, visit Catherine at www.catherinebaileybooks.com.